Jay Strausser chaired the Raise the Bar Capital Campaign and was indispensable in rallying the community to make our new building possible. 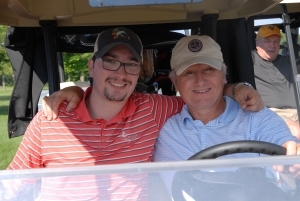 He also worked closely with Development Director, Kelli Shonter, to put on a sun-filled golf tournament each year, an important fundraiser to keep our summer programs strong. Jay leaves his imprint as Chair of the Development Committee and legacy with the establishment of the Roxane Leopold Scholarship back in 2007.